Poster Romance Questionnaire: Christine Pickerell aka The Flower Lady! My friend Christine Pickerell is one of the most genuine, generous, gregarious women I know. She’s irreverent (probably why I love her so much), very, very funny, and kind. 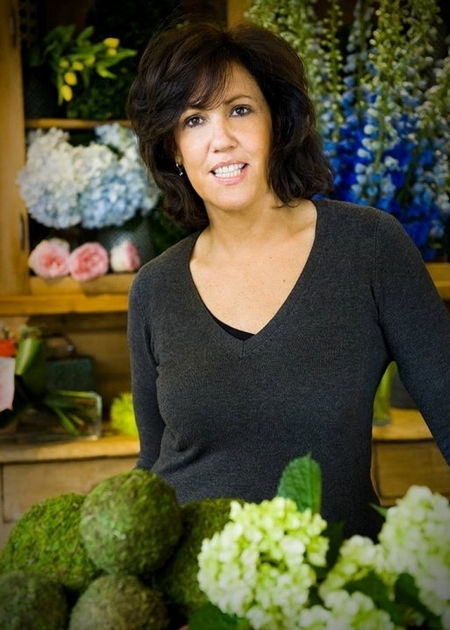 She works in a family business – surrounded by her brothers and numerous nieces – she works hard, and she creates some of the most magnificent floral arrangements of anyone I know. At one point, between jobs – I worked for Christine and got to know her better than I had before. I loved my time at Westmount Florist – it’s full of beauty, and beautiful people (hello Elaine! ), and creativity! I asked Christine to be our Poster Romance girl of the month and here are her answers to our questionnaire. (She also has a great website and blog!). The Laurentian’s………Old Montreal…………Inside my home. Happiness is the responsibility of you and you alone. You find happiness by being content and appreciating what you have in life. Health and love bring happiness to me. Anything with nature and flowers in it ! Give ½ of it to a charity right away ! Carry on our family business and doing it while still loving my family through the hard times. Everyone finds peace in a different way…………but I find peace in knowing that I appreciate what I have and who I have in my life. Next Wine, Women, Song and Amaretti – What Could Be Bad?